He is a mamma’s boy, but he has the heart of a Marine just like his daddy. We were in San Diego when my husband said he was getting me a puppy. 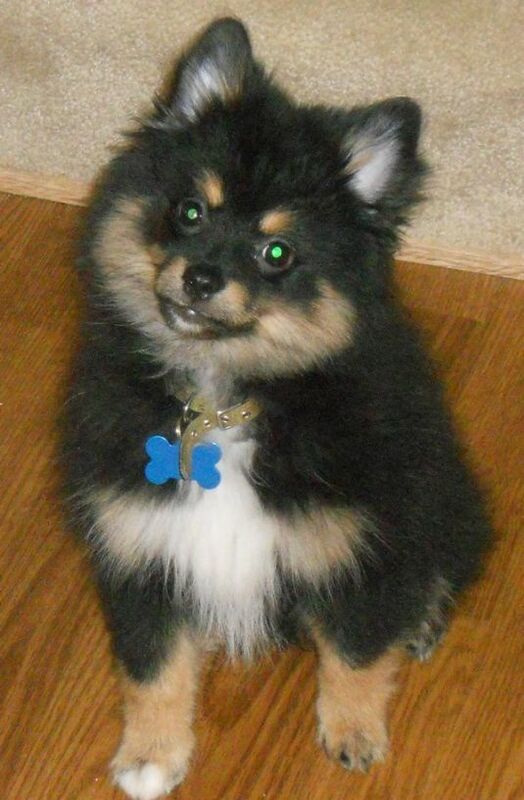 I wanted a Yorkie, but we went to a pet store and we see this cute little Pom Pom. He was so hyper and we fell in love with him instantly. He loves playing with other dogs. He gets along with ever type of pet. 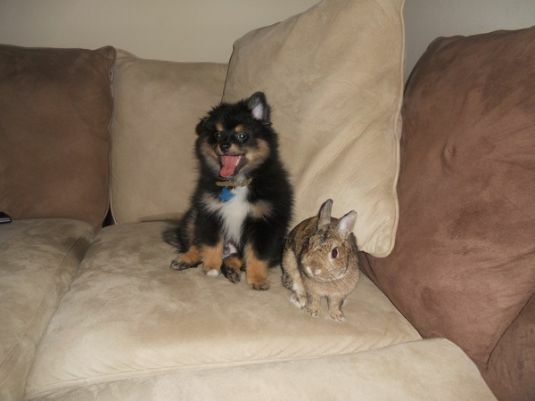 We have two bunnies and he gets along with them perfectly. He loves fetching and he is very energetic. We love him!